Originating from the small island town, Nantucket style is imbued with a charming seaside tone that is expressed in the furniture, architecture, and decorations it incorporates. 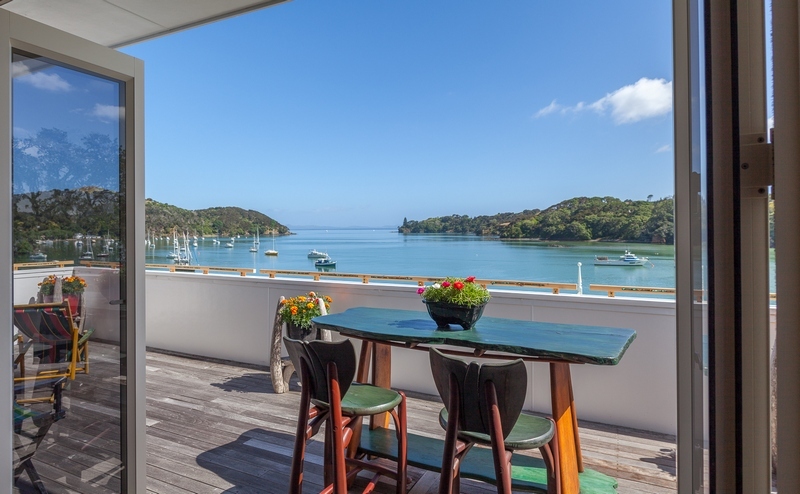 This style is nesting in the Harbourside Penthouse Suite perched atop a terraced triple apartment building on the waters’ edge in the quaint fishing village of Mangonui in Northland New Zealand. The views of Mangonui’s harbour, Mill and Doubtless Bays, the warm sea breezes, and historical ties to their original home drew the current owners from a sleepy whaling community on the eastern USA seaboard – and kept them returning annually to this divine lock-and-leave contemporary apartment. 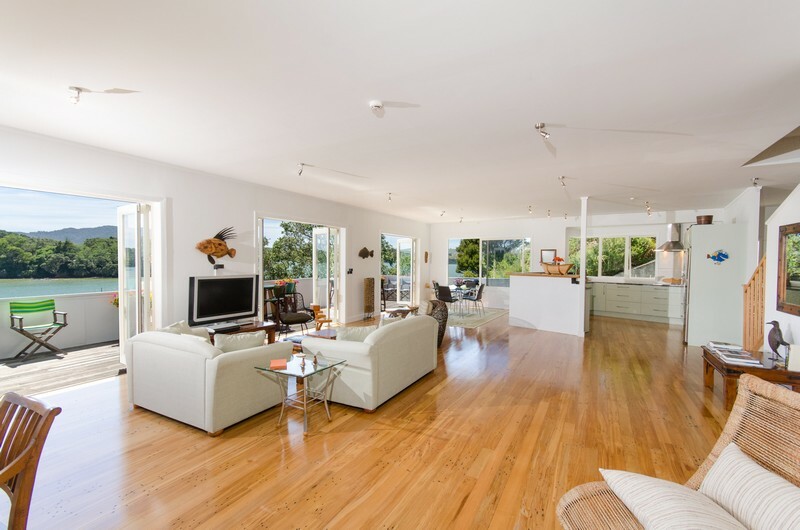 Mangonui has been this American couples’ summer second home, but it’s time for the ‘swallows’ to head back to the community they came from, and this very special loft style home is now up for sale. Finished in the finest crafted timbers with recycled rimu flooring, paua inlaid balustrades and decorator touches resonating with enchanting ‘Nantucket coastal style’ this apartment is a rare and fine example of homey interior meets solid contemporary build. Ascend a staircase with a plan for a fold away lift to the wide welcoming entry and the tone is set. Expansive ocean views are captured from the three sides of the home and balcony decking above the harbour with spacious light filled living, dining and open kitchen. Two spacious bedrooms with luxury en-suite bathrooms, spa bath and walk in wardrobe, separate laundry room and ample storage make this home very workable as both a private residence and an income earner. Apartment includes a secure private garage with adequate boat and sporting equipment storage. 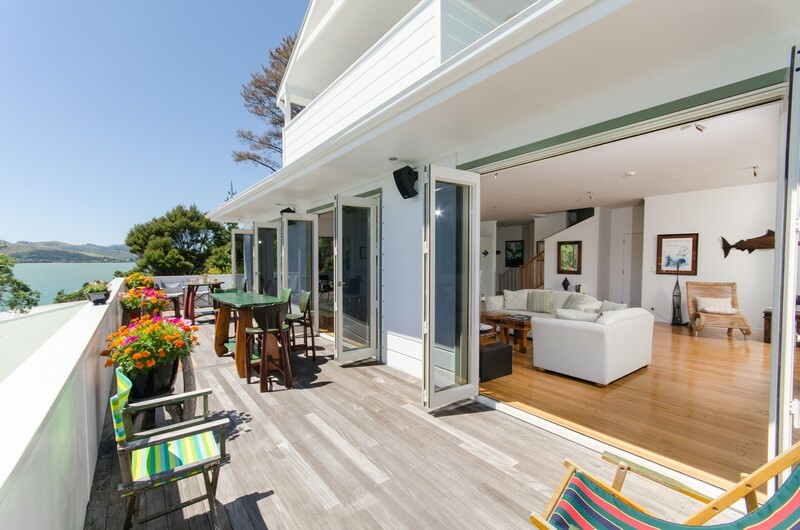 Enjoy Mangonui township with its lively cafe and art scene, and a multitude of magnificent beaches, easy boat launching and first class golfing experiences on the doorstep including world famed Kauri Cliffs Golf Course. Rare on the market – spacious and light, this home is one charmer you will be captivated by. Own your own tropical island paradise. Exclusive offering from Sotheby's Realty. Copyright © 2019 PRC Magazine.